Many people who have attempted to quit smoking would probably agree that it is easier said than done, and that it can be both overwhelming and challenging. According to the Centers for Disease Control and Prevention, an estimated 70% of the 46.6 million smokers in the United States want to stop smoking, and more than 40% of smokers try to quit each year. 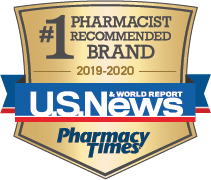 Pharmacists can help patients choose from the many nonprescription smoking cessation products currently on the market to find the most effective way to successfully quit smoking. One method of smoking cessation available without a prescription is nicotine replacement therapy (NRT). Available in the form of gum, patches, and lozenges, nicotine replacement products are designed to cut down on the nicotine cravings and tobacco withdrawal symptoms, and enable patients to focus on the changes they need to successfully stop smoking. Nicotine patches continually release low levels of nicotine into the body over a 24-hour period. Available products include NicoDerm CQ with SmartControl patch (GlaxoSmithKline) and Habitrol Nicotine Transdermal System (Novartis Consumer Health), as well as generic products. These patches are available in various strengths, and the dosage depends on the number of cigarettes an individual smokes daily. The most commonly reported side effects of the nicotine patch are skin irritations, such as itching and redness, which can be reduced or prevented by applying the patch on a different area every day. Individuals who experience side effects such as abnormal or vivid dreams, headache, or insomnia are advised to remove the patch at bedtime and to apply a new patch in the morning. Nicotine polacrilex gum, which is available as Nicorette (Glaxo- SmithKline) and in generic form, is available in strengths of 2 and in 6 flavors. The dosage is recommended for individuals who smoke fewer than 25 cigarettes per day. Those who smoke more should use the strength. Typically, the peak concentration of nicotine is achieved within 30 minutes after an individual starts to chew the gum and then slowly decreases over the next 2 to 3 hours. Drinking acidic beverages such as fruit juices or soda may decrease the gum’s effectiveness. Patients should not eat and should only drink water for about 15 minutes before starting the gum or while chewing it. The recommended use of NRT is 9 pieces of gum while awake during weeks 1 through 6 of the 12-week program. Nicotine polacrilex lozenges on the market include Nicorette Lozenges (formerly known as Commit Lozenges, GlaxoSmithKline) and Nicorette mini Lozenges (GlaxoSmithKline), which are available in mint flavor and come in a portable pocket-sized package. These lozenges come in strengths of 2 and . The dose should be used by individuals who smoke their first cigarette within 30 minutes of waking up, and the strength is for those who smoke their first cigarette more than 30 minutes after waking. The recommended dosing schedules for lozenges are similar to those of nicotine gum, as are the associated side effects. Patients with preexisting medical conditions—including a history of heart attack, certain heart conditions, high blood pressure, or ulcer—as well as those who are pregnant or breastfeeding or are younger than 18 years should always consult their physician before using any nicotine replacement products. It is critical that individuals speak to a pharmacist about any drugs they are taking that may cause interactions, including certain forms of birth control, heart medications, and antidepressants. In addition to consulting with a pharmacist for suggestions of NRTs, individuals are encouraged to seek assistance from counseling services, which can provide added motivation and increase the chance of quitting successfully. It is important to note that the combination of smoking cessation medications and counseling can increase the chance of quitting successfully.